La paz interior comienza en el momento en el que decides no permitir, que ninguna persona o evento, tome el control de tus emociones. Show your phone battery next to your computer battery. Share the clipboard between devices. Remote control your music and videos. 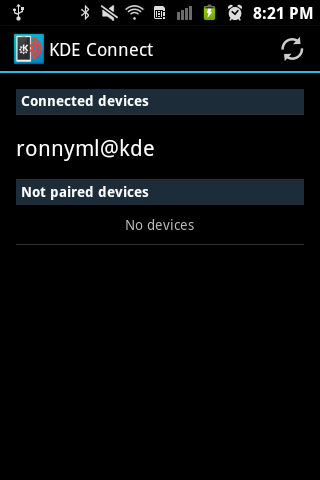 Show phone notifications in KDE and keep them in sync. Pause music/videos during a phone call. 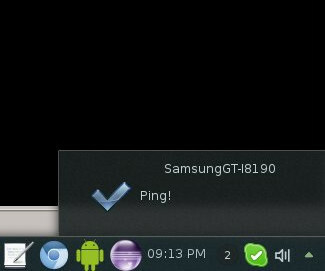 Send and receive pings between phone and computer. Browse the remote device filesystem using SFTP. Receive and send files, URLs or plain text easily. 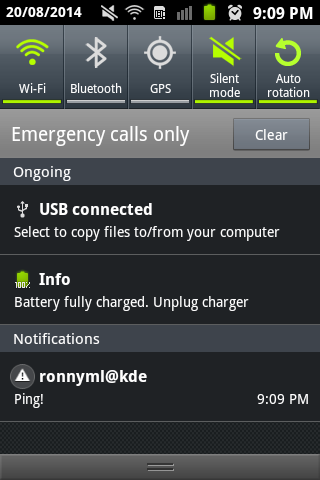 Show notifications for calls ans SMS. Use your phone as a touchpad. 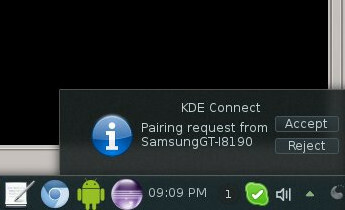 To make this connection possible, you need to install both: The KDE Connect software on your desktop and the KDE Connect app for your mobile device. 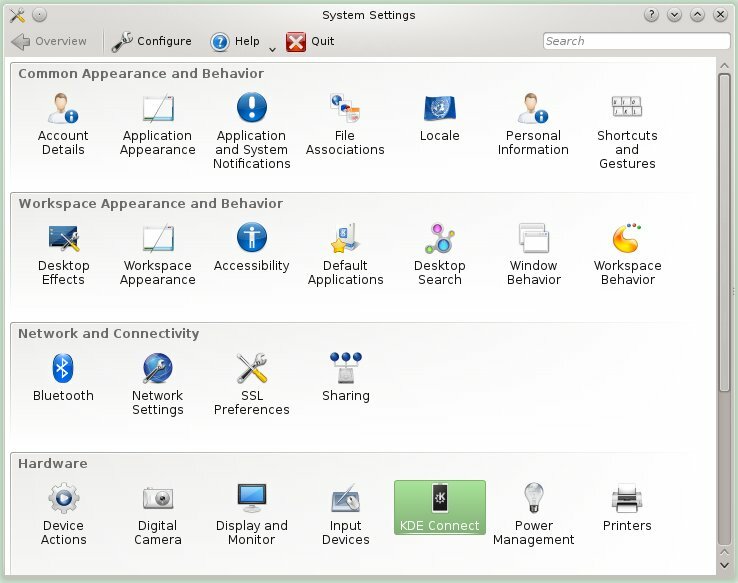 – Make KDE aware of KDE Connect. 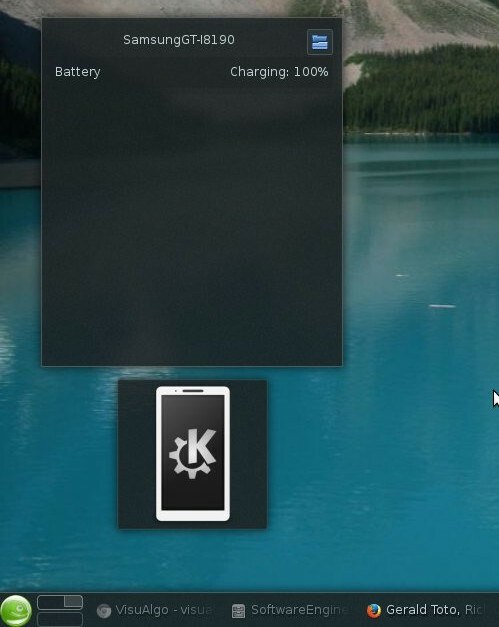 Once you have KDE Connect installed, you will see it in your System Settings: This option will be empty until your pair your desktop with your mobile. We’ll talk about it next lines. 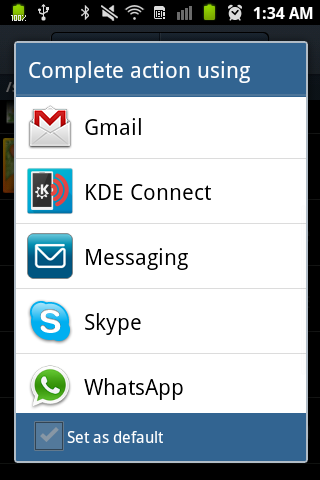 Currently, there is a KDE Connect Android app available on Google Play and the IPhone app is currently being developed by other Google Summer of Code student. For the Android app, version 4.1 or higher is recommended to get all the functionality, but you could still use the app in old Android versions. Now you need to pair your devices. It’s so simple, the only requirement is that your mobile and desktop must be connected to the same Wi-Fi network. 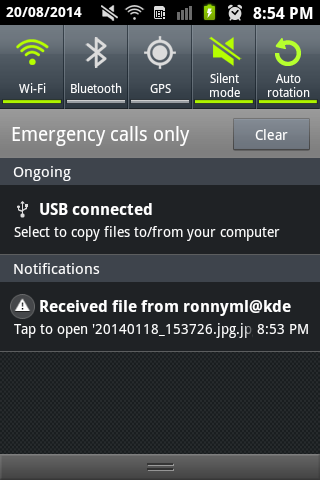 Send a file from mobile to desktop. KDE Connect is now listed on your apps to share content. 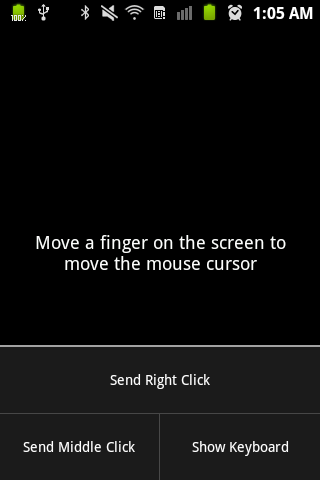 Use your mobile as a touchpad. Actually, this is one of my favorite features, use your mobile to control your desktop windows, tabs and other stuff is amazing. Other features include get notifications on your desktop when you receive a phone call or an SMS, copy an URL on your mobile and open it on your desktop, etc. These are just some examples of what you can do with KDE Connect As you can see the technology has great potential and a very promising future. 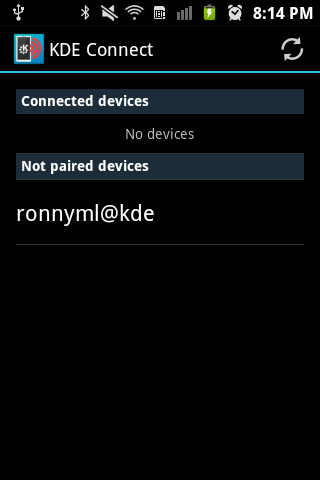 Posted on August 21, 2014 January 25, 2019 by Ronny YabarPosted in Android, KDETagged Android, Android apps, Debian, KDE, KDE Connect, openSUSE. Next Next post: São Paulo – Brasil. Thanks Rafael, I updated the post. The KDE LaKademy 2014 experience – São Paulo, Brazil.